There have been many attacks against ISIS which have hurt them on the battlefield, as well as hurt them financially. That said, ISIS is still able to draw from a “large cadre of Western fighters.” These would be able to attack to the US and also will be able to overcome these attacks and still be as dangerous as ever, according the CIA director John Brennan. Brennan went on to add that the group is already preparing for more attacks. They are doing this by infiltrating refugees into the western nations. When speaking about the shooting in Orlando, Brennan went on to say that loan wolf attacks create a unique challenge. Since they are not under the direct control of terror groups, that makes them even more challenging to control. 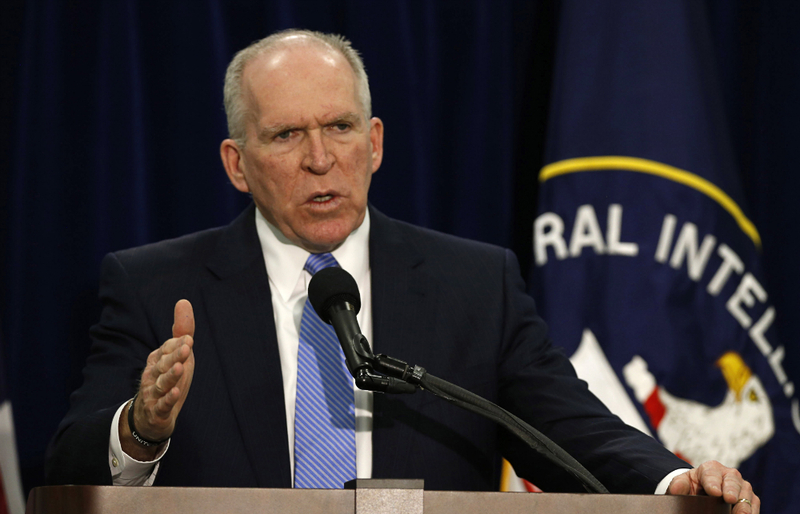 Brennan went on to add that ISIS greatly exceeds what Al Qaeda had at its peak. In Libya there are somewhere between 5,000 and 8,000 ISIS fighters. Also there are 7,000 fighters in Nigeria. Egypt, Afghanistan and Pakistan each contain hundreds more of ISIS fighters. Previous Why did Hillary say Radical Jihadism Instead of Radical Islamic Terrorist?